Despite what your over-active imagination may be telling you, the Vampire Squadron was actually an American Airforce group based in Guadalcanal during WWII. Their plane of choice was the unique Lockheed P-38 Lightning. A ‘twin boom and a central nacelle’ design, the aircraft stood out amongst its contemporaries like the dog’s proverbials. 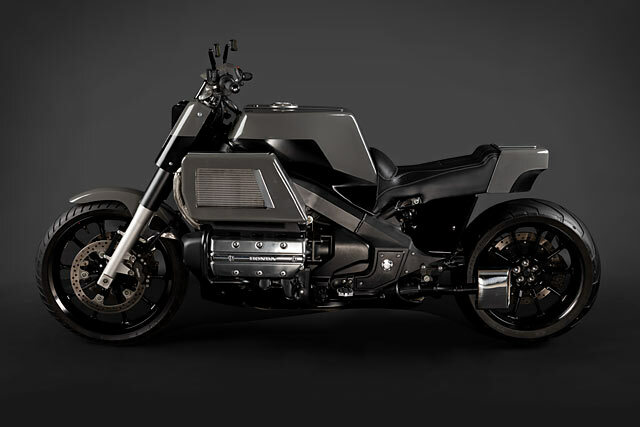 Cue Honda’s similarly unique flat four Goldwing. 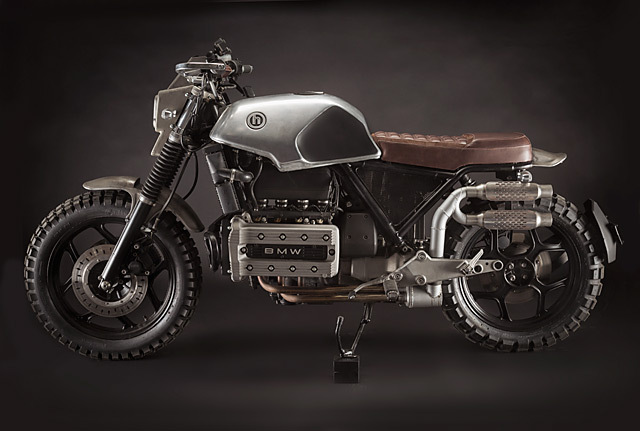 A little BMW, a little Moto Guzzi and a whole lot of engine capacity, it’s a bike that still occupies the outer fringes of the custom scene. But not if Kentucky’s Scott Halbleib has his way. Last September a friend’s father contacted me about a commissioned build. 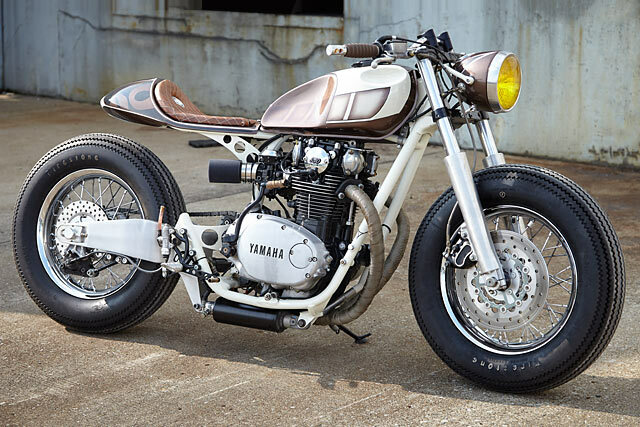 He had a 1983 Yamaha XS 650 Special that a previous owner had already modified quite a bit. It needed a little mechanical work, so it hit the Retrowrench side of the shared space first. Chad Francis got the basics working properly. Then I met with the client and he informed me he only had a minimal budget. 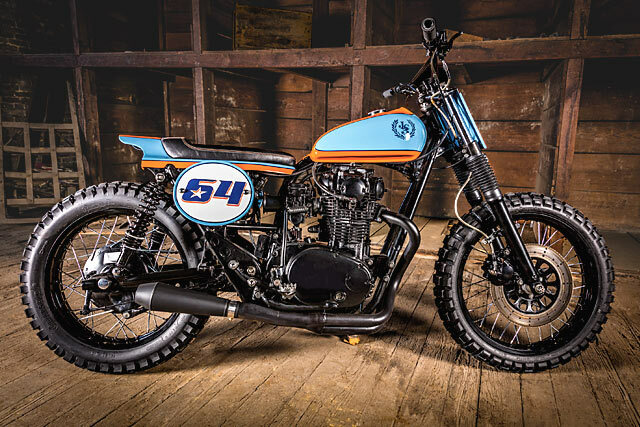 He just wanted to freshen the bike up and have it repainted with the Gulf color scheme, the number 64 (which his son races under) and the JC3 emblem, which is in memory of his daughter. So I rolled up my sleeves and got to work. The relationship between client and creator is always a tricky one. Just ask any designer; their customers always want a game-changing creation for nix, and they usually want it yesterday. But great work always takes time. Time, and the patronage of someone who understands that the bike builder might actually know more about, you know, building bikes. When this happens, art often follows. 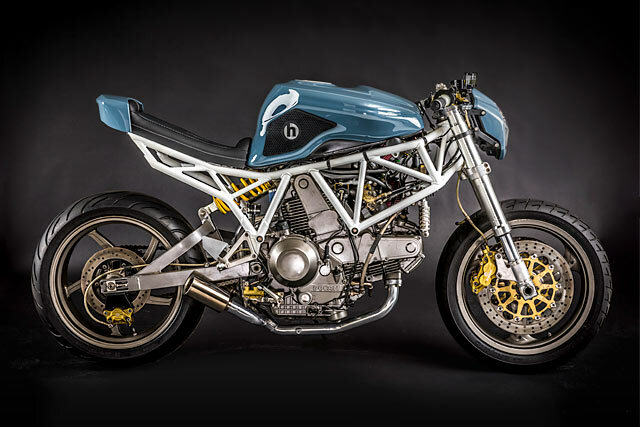 Art like this, for instance; the latest and dare we say greatest from Kentucky’s best custom bike builder, Scott Halbleib of H Garage. 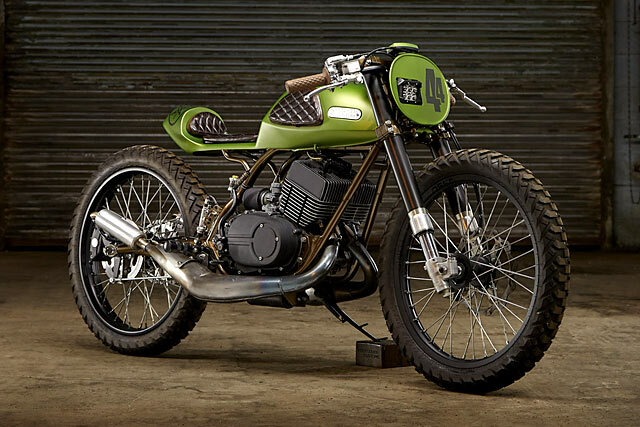 There is more than one way to skin a cat and for Scott Halbleib of H Garage he took a different path with this Honda FT500 than he normally does with his other builds. 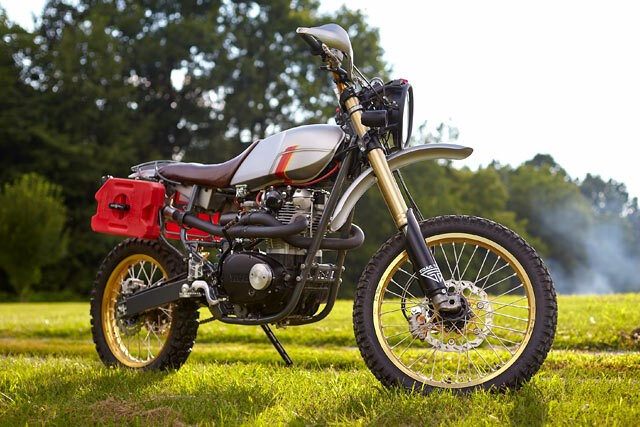 Even before he’d begun his Honda XT build that has long since been finished and shares a common engine with the FT this bike caught Scott’s eye given its cheaper purchase price and convenience of electric start. 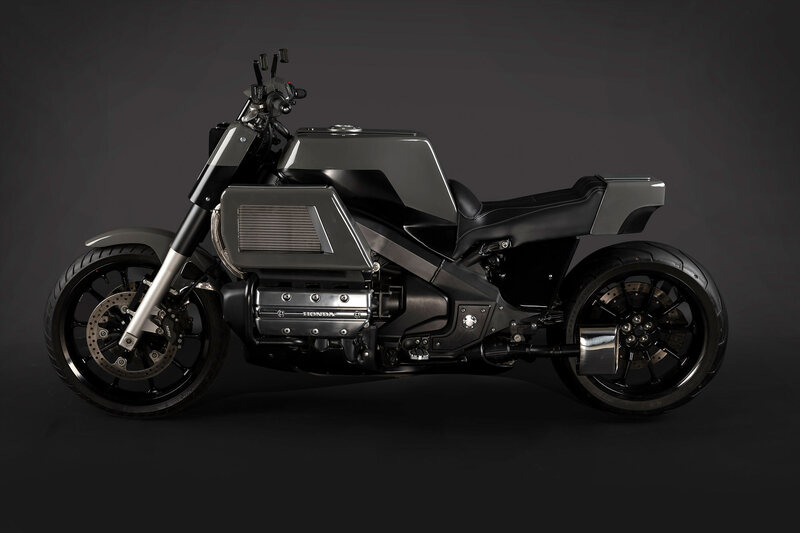 This wouldn’t be a rushed project, after its purchase other bikes would take priority and the FT would receive attention when the right ideas came to mind and time was available. 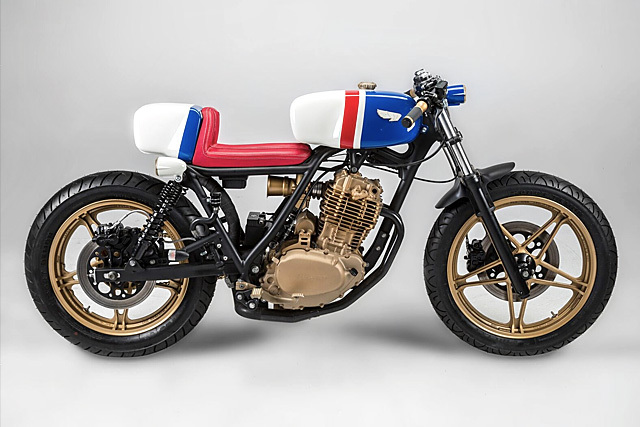 So it’s been two years in the making but with plenty of time, a Facebook poll, some light bulb moments and the help of a few excellent suppliers, this race inspired urban Café Racer can now be revealed. There’s a famous Australian ad campaign from the early 80s that used the phrase ‘the quiet achiever’ to big up the company it was spruiking. The thought was a simple one – while everyone else went about their business with the maximum amount of bragging and self aggrandisement, they were the ones that worked in the background to make great things happen. In my head, Scott from H Garage is the embodiment of this thought. 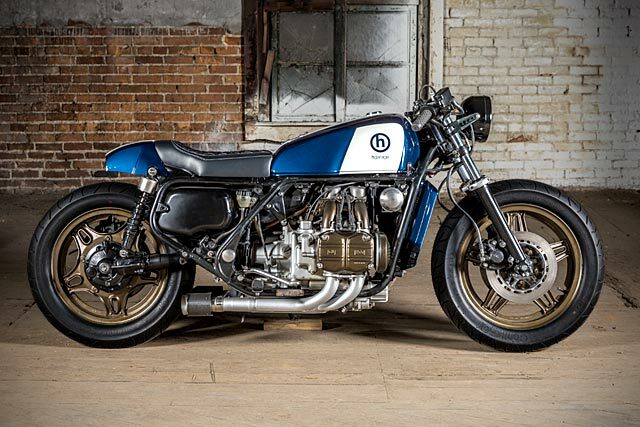 He’s been a regular on Pipeburn.com since the start, and his builds still get mentions years after their first appearance. 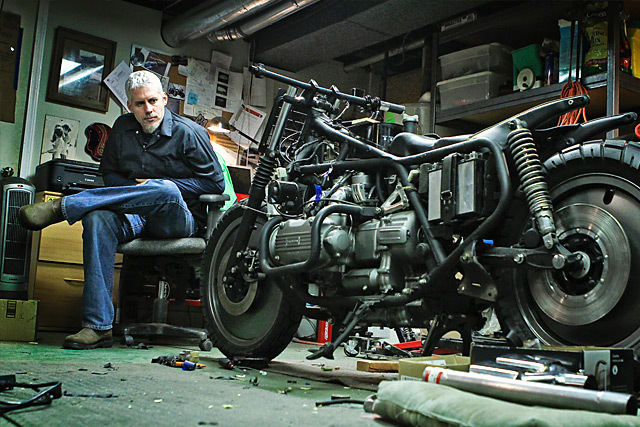 He also created his own bike show. Maybe ‘the quiet over-achiever’ would be a more appropriate title.